If you have never heard of a two-stage air conditioner, don't feel left out. Many people don't realize that air conditioners even have stages, let alone what the stages are all about. Single-stage air conditioners have been the industry standard for many years. Two-stage air conditioners offer the latest advances in technology. Learn how both systems operate and what they have to offer so you can make a wise choice when you get ready to purchase and install a new air conditioning system for your home. Two-stage air conditioners provide more even cooling. A two-stage air conditioner uses two motor speeds to blow cool air into rooms. The motor will run at 100 percent of its capacity or around 67 percent of its capacity. When it is blowing at 100 percent, that is the second stage; the 67 percent capacity is the first stage. The air conditioner is signaled which stage to use by the thermostat. For example, if you have been away from home and turned the air conditioner off, the thermostat will signal the air conditioner to use the second, full-capacity stage to cool the home quickly and reach the desired temperature set on the thermostat. Once the desired room temperature is reached, the thermostat will signal the air conditioner to drop down to the first stage. A single-stage air conditioner only has one motor speed. Consequently, the air conditioner is operating at its full, 100 percent capacity at all times. When the room reaches the desired temperature on the thermostat, the air conditioner motor will turn off and cease to push and blow cool air through the ducts and vents of the home. When the room temperature rises above the thermostat setting, the air conditioner turns back on again to disburse cool air through the home's ductwork system and vents. The main similarity is that a single-stage and a two-stage air conditioner will do what they are designed to do: make your home cool and comfortable. 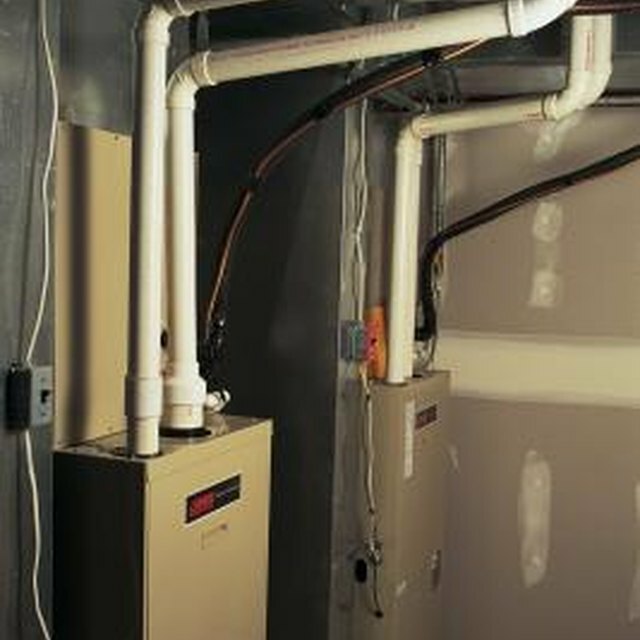 Both types of systems work in conjunction with your thermostat, and your home's overall HVAC system. Each type of system also has a Seasonal Energy Efficiency Rating (SEER). The higher the SEER rating, the more efficient the air conditioner and the more money you save on electricity. Two-stage air conditioners have higher SEER ratings than single-stage air conditioners. Ratings for two-stage units typically start around 14 and go as high as 21 while single-stage air conditioners start around 8 and stop at about 14. Those with a Seer under 10 are typically single-stage portable air conditioners, such as window box units. A higher SEER also means less use of energy and savings on your utility bills. For example, a single-stage air conditioner with a SEER rating of 10 could cost as much as $80 to use each year while a two-stage air conditioner with a SEER of 18 may only cost around $39 according to data used by the Whirlpool Corporation. If you live in a warm climate where an air conditioner is as much relied on as heating is in colder climates, a two-stage air conditioner is probably the best choice for your home cooling needs. If you have a multi-story home, a two-stage air conditioner will also be more effective at providing even cooling upstairs and downstairs instead of one floor feeling cooler than the other. However, if you live in a cold or milder climate, a single-stage unit may be all you really need because you don't use the air condition for enough days and cooling hours to justify the investment in a two-stage unit. Another consideration is whether you live in an area where electricity rates are frozen. In that case, you would not really see the savings on your bill that a two-stage air conditioner provides as dramatically as if you were living in an area where electric rates are unregulated.